Here's a superb new online slots game from Eyecon Gaming you can try. There are many casino games, both land-based and online, which dabble in oriental themes that make all of the players want to learn kung fu and order Asian takeaways every night. But the oriental world isn't just filled with martial arts and fantastic food. It's bursting with celebrations, festivities, and firecrackers. A lot of firecrackers. And if you're fortunate enough to find the lucky firecracker on the online slot game, Xingyun Boazhu, then the Chinese New Year must be filled with luck for you! In Chinese culture, red is the luckiest colour to be surrounded in. So, it's no wonder why Eyecon decided the paint the gameboards and reels in the fiery colour. 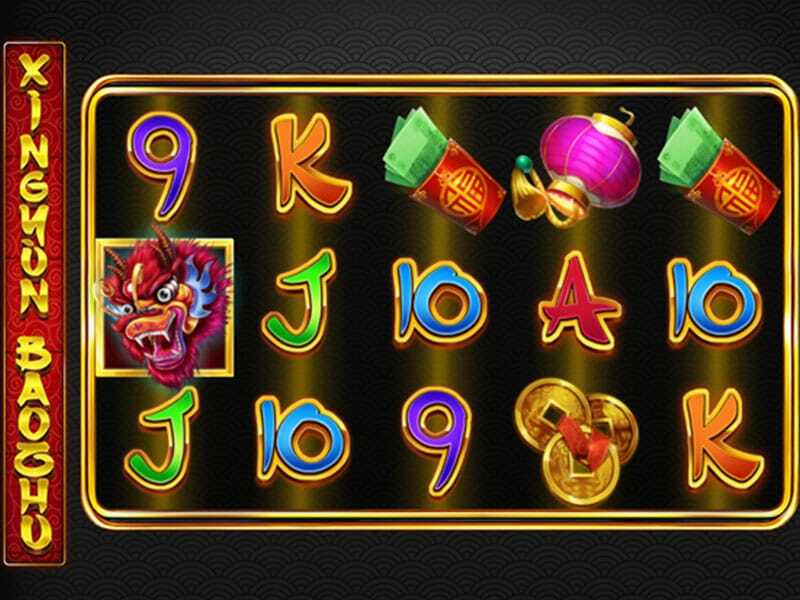 Once you've finished this online slots games, you'll feel like the Chinese New Year has come early for you! Who says that only the best casino game developers reside in the USA? Australia is one of the many other countries that home some of the most talented game production studios in the world; just have a look at Eyecon. The Australian casino game studio began their mission in Brisbane, 20 years ago, to make sure that all of their products optimise the excitement many gamers can experience when placing their bets on a slot game. Additionally, they make sure that all of their games can adapt to the expanding technological world that we all live in today. Past products like Secret Garden, Fae Legend Warrior, and Kingdom of Cash have gained a lot of fantastic reviews, so you can be sure that you'll be giving Cherry Trio 5 stars once you've tried out the slot game! Like with many of Eyecon's games, Xingyun Boazhu contains enough colour and animation to keep your eyes on the screen, but not enough to give you a headache. So, you can play the game without getting too distracted by the lanterns, coins, and red envelopes that would dance on your reels. Firecracker WILD: This symbol replaces any of the ordinary symbols that you'd see on the reels apart from the Dragon SCATTERS. Dragon SCATTER: Seen only on the 1st, 3rd, and 5th reels, they can win you a multiplier of either 15, 20, or 25 depending if you get 3, 4, or 5 of these symbols on your screen. Furthermore, the Dragon SCATTERS also reveal a free bonus round that helps you boost your winnings before the game ends. Crackers BONUS FEATURE: Activated when the Dragon SCATTERS appear on your screen. Depending on the number of dragons that would have appeared, you can win either 15, 20, or 25 free spins. And the firecracker WILDS expand on all of the reels before your winnings will be rewarded. With so many games that try to bring the Chinese New Year to life, it sometimes can be hard to choose which one stands out the most. But when it comes to Xingyun Boazhu, the gameplay and the settings really make the players feel immersed in the culture and help them make big winnings that not many other Asian themed games can do. You have to hand it to Eyecon for developing and publishing an online slot game that has all of the key components that every casino player needs, as well as the simplistic outlook to not confuse the while playing the game.